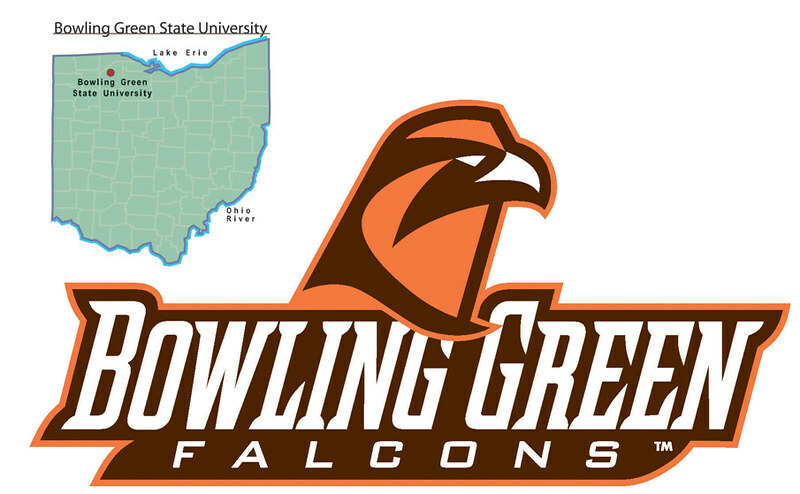 Bowling Green State University, located in beautiful Bowling Green, Ohio has made great strides in recent years in developing a sustainable campus. The Department of the Environment and Sustainability and the School of Earth Environment and Society educates and prepares students to plan for the future quality of our environment. This department has helped prepare these students by setting great examples and by creating a sustainable campus at BGSU. 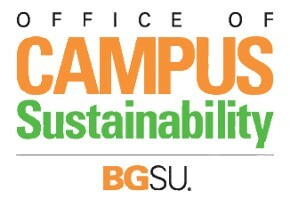 The Office of Campus Sustainability has been in operation at BGSU for nearly 7 years. Starting in 2008, they established the initiatives of greening the campus, improving its design and efficiency and strengthening an environmentally sensitive culture within the students of the campus. They have worked to achieve these initiatives by making a commitment, being diligent, and developing detailed plans to improve and lessen the campus’ environmental impact. The President’s Climate Commitment represents a legal document signed by the President of the University, Mary Ellen Mazey. This document was approved in November 2014 and subsequently filed with the American Colleges & Universities Presidents’ Climate Commitment in January of this year. The Climate Commitment requires that a committee be created to oversee it’s implementation, that the university complete a greenhouse gas inventory, that a climate action plan be created within two years, a timeline for implementing the plan is established, the incorporation of sustainability and that the public be provided access to all of this information. BGSU recently completed the initial Green House Gas Emissions Inventory which is going to be used to develop the Climate Action Plan. This inventory provides the findings of the university’s current carbon footprint. One of the first ways that BGSU has begun to positively impact their carbon foot print is by reducing energy use in various areas of the campus. BGSU Friday Night Lights is a campus organization committed to educating other students about ways to reduce energy use around campus. They have various events where students are invited to participate and doing so requires that they ensure lights are turned off when not being used. In addition to this organization, BGSU has installed motion detectors in nearly all of the campus buildings which reduces energy use in vacant spaces. These programs have saved a total of $63,500 for the University over the last four years! 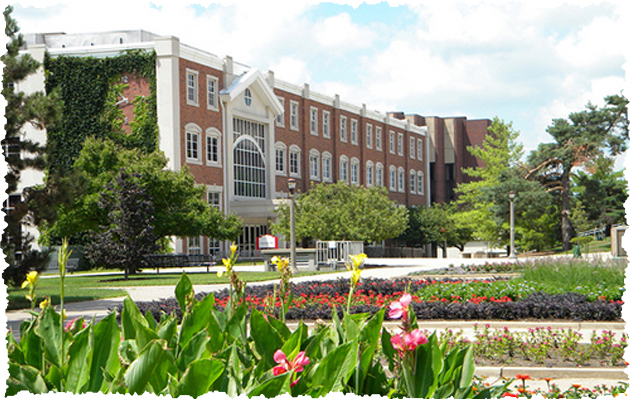 BGSU currently has a host of construction projects and renovations in the works. These projects are being approached with sustainability in mind. The University is looking to ensure that major renovations and all new construction meet LEED Standards. They currently have 5 buildings that have superior “green qualities. Four of these buildings are either LEED Gold or LEED Silver. BGSU has implemented numerous practices and initiatives in an effort to help increase recycling while decreasing waste. Some of these include the use of bins labeled “Recycling” and “Landfill”, office supply reuse, the restore (students can donate and swap items), When You Move Out, Don’t Throw It Out Program, and by offering water bottle refilling stations. There are multiple programs on campus to promote green transportation. The university has implemented the Orange Bike Program that allows students to ride bikes around campus for free. By signing up the students get a key that unlocks any of the orange bikes. There are also three electric vehicle charging stations on the campus. The campus shuttle is used in an effort to reduce the numbers of cars on the road. The shuttle stops at various local locations frequented by students. The Oaks Dining Center features a dual purpose Green Roof. A green roof is essentially a garden of environmentally beneficial plants that replace a traditional roof. The green roof helps to decrease summertime energy demands by reducing indoor temperatures, reduces storm water run-off, extends the life of the roof and attracts flying wildlife. There is also a small solar panel array atop the roof that aids in reducing energy demands. Not only does this feature add to the sustainability features of this building, it serves as a great tool to educate the entire BGSU community. Students as well as groups and community members can request tours of the roof to learn about this great features BGSU has built and how it is positively impacting the environment. In addition to a dining center rated LEED Gold by the US Green Building Council, BGSU has made sustainability a priority in dining practices. This means purchasing local from family farms when able, serving seafood only from sustainable sources, serving milk and poultry free of artificial growth hormones, focusing on waste reduction, offering packages developed from renewable sources and serving ecological certified coffee. BGSU has incorporated various programs to help them achieve a green dining experience including Trim Trax, a food waste reduction program; Tray less Dining; Project Clean Plate; and carbon food print. The ultimate goals of these programs are to reduce food wastes and educate students. The BGSU sustainability projects are not only helping the students and university as a whole, but the entire Bowling Green community. The community is educated about the importance of sustainability and community engagement efforts are made to further promote green practices like recycling and reducing the use of energy. BGSU has also donated $4,700 in the name of students to the Wood County United Way Program based on the amount of food reduced during Project Clean Plate. The efforts BGSU is making in creating a sustainable university are making great impact on their students and the area community.